While Israel is still dodging questions about why it has been secretly arming the genocidal Myanmar military regime during its ethnic cleansing operations against Rohingya Muslims, it has emerged that the Zionist war machine is also at the heart of the rising tensions between India and Pakistan. Earlier this week, Pakistan announced that its air force had shot down two Indian Air Force fighter jets over the disputed border region of Kashmir; India confirmed the loss of one aircraft after videos emerged in Pakistan of one of its captured pilots. The incident on Wednesday came after India launched its own air strikes over disputed Kashmiri territory. 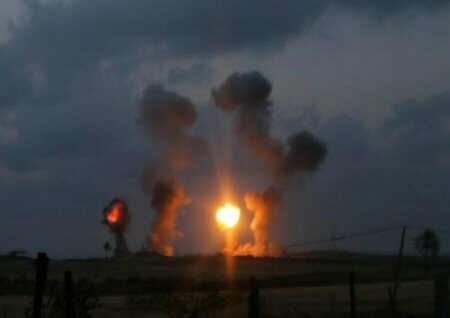 Israeli-made bombs were used by India against Pakistan on Tuesday. Indian Mirage fighter jets were armed with Spice 2000 smart missiles sold to New Delhi by Israel as part of one of the largest weapons deal in the Zionist state’s history. Even the rhetoric used by India to explain and justify its pre-dawn raid could have been scripted by Tel Aviv; maybe the bombs came with their own propaganda instruction booklet as an optional extra. Israel is now India’s main arms supplier, with deals worth around a billion dollars a year. Over the past two years, the allies have conducted joint drills and frequent exchange visits between senior officers. Among the items sold by Israel to nuclear-armed India are radar systems and ammunition, as well as air-to-ground missiles which have been tried and tested on Palestinian civilians in the Gaza Strip during three military offensives and numerous armed incursions over the past decade. Addressing the media this week, Indian Foreign Secretary Vijay Gokhale said that the air force had targeted Jaish-e-Mohammad training camps in a “pre-emptive strike”, after intelligence indicated that a terrorist attack was being planned. Gokhale offered no evidence of this, but relied on the sort of textbook excuses that we have become used to hearing from Israel justifying its attacks on unarmed Palestinians. Using heavily loaded Islamophobic language of a nature often adopted by Israel, the minister said that his country is fighting “Islamic terrorism”; he even called the targeting of Balakot a “pre-emptive manoeuvre”. The influential Times of India says that this can only mean that New Delhi is changing its defence doctrine from “defensive defence to active defence”. The latter is the same doctrine to which Israel subscribes, something not lost on the newspaper’s leader writer. OPINION: Kashmir from Nehru to Modi; what’s changed? This is also a strategy adopted by Tel Aviv as it works tirelessly to isolate Palestine on the international stage with its powerful political and coercive lobbying. However, Pakistan is not Palestine. China is already supporting Pakistan economically, and Saudi Arabia’s Crown Prince Mohammad Bin Salman recently signed deals worth $20 billion with Prime Minister Imran Khan in Islamabad. After Tuesday’s air strike, Pakistan said that there were no casualties, whereas India insisted that its missiles killed “a very large number” of militants. Since the two states often issue contradictory statements, it’s very difficult to get to the truth of the matter although the use of hate speech — again, something embraced full on by Israel — was in evidence. The Rohingya Muslims were demonised beyond recognition by the military regime in Myanmar, which bandied around terms like “Islamic terrorists” to justify its own ethnic cleansing programme against the minority group, mirroring Israel’s justifications for its murderous activities in Gaza against Palestinian civilians. Such hate speech was also heard in India as political leaders talked about “Muslim terrorist operations”. While Israel continues to remain coy about the arms it has sold to the regime in Myanmar for use against the Rohingya Muslims, the deals between Israel and India are boasted about openly by both sides. Moreover, there are very real fears about the escalating tensions between Pakistan and India, which are both nuclear powers (as, of course, is Israel). India claims that its air strike was a response to a suicide bombing in the disputed land of Kashmir, a region often described as the “forgotten Palestine” because of the parallels drawn between the plight of the Palestinians and Kashmiris. While New Delhi blamed Islamabad for the Pulwama attack in which 46 members of the armed forces died, Pakistan’s Imran Khan refuted the allegations strongly and asked for evidence. So far, none has been forthcoming; instead, India launched an Israeli-style pre-emptive strike which has ratcheted-up tensions in the already volatile region. The 14 February attack was the worst on Indian forces since the start of the 1989 insurgency in Kashmir and came as Indian Prime Minister Narendra Modi is embroiled in an election campaign. Pakistan’s military spokesman, Major Gen Asif Ghafoor, confirmed that Indian aircraft crossed into the Muzafarabad sector of Pakistani-controlled Kashmir. He added that they released their Israeli-supplied payload “in haste” near Balakot as the Pakistan Air Force scrambled its own fighters. Kashmir is split between India and Pakistan but claimed by both in its entirety; it has been the cause of two wars between neighbours. A third war was fought in 1979 over East Pakistan, which gained independence with the help of India and became Bangladesh. The people of Kashmir were promised a plebiscite to decide their future, but this has never been forthcoming. It seems that the right-wing Zionism and its racist tendencies espoused by Benjamin Netanyahu’s Likud Party is finding a sympathetic ear among the right-wing Hindu nationalists in Modi’s BJP. Both push the narrative that they are victims of Islamic terrorism and have a superior claim to the land that they occupy. As Zionist nationalism finds common ground with Hindu nationalism the biggest losers will be ordinary Palestinians and Kashmiris who have both suffered decades of occupation, hardship and pain. The international community has basically sat back and done nothing about occupied Palestine and Kashmir, allowing both Israel and India to act with apparent impunity. How much longer is this shameful injustice going to last? She highlighted the conditions of Palestinian women prisoners as well as their role in the prisoners’ movement, urging attention to the conditions that they face in Damon prison after their transfer from HaSharon prison. Jarrar’s family was told that she would be released from the Jalameh checkpoint around 12 noon, but instead she was released in the early morning at the Salem checkpoint west of Jenin. From there, she will visit the gravesite of her father in Nablus, who died during her imprisonment. She will be received at the Catholic Hall in Ramallah for a reception on Thursday night, to be followed by further receptions on Friday and Saturday evenings. Jarrar’s daughter Yafa said on social media that the shifting of the time and place of her release was a deliberate attempt by the Israeli occupation to minimize celebrations of her release. “Israeli occupation forces just released Mom at 4:00 am (Jerusalem time) this morning at Salem checkpoint near Jenin, which is contrary to what they have informed us. Mom was informed that she would be release at 12:30 pm at Al-jalameh checkpoint near Nablus. Instead, they released Mom in the very early hours at a different location and let her walk free by herself in the middle of no where. In spite of Israel’s attempts to disrupt her reception, Mom is FREE!” she noted. Jarrar has been imprisoned since 2 July 2017, held without charge or trial under administrative detention. Her administrative detention order was renewed four times, most recently on 25 October. Over 275 organizations, political parties and social movements around the world joined in a collective call for her release. This is not the first time that Jarrar has been imprisoned by the Israeli occupation; her arrest in 2017 came only 13 months after she was released from Israeli prison after serving a 15-month sentence for her public political activity. After being arrested in 2015, she was ordered to administrative detention; in response to public outrage, she was transferred to the military courts for a bogus trial. During this most recent 20 months in prison, she remained jailed with no charges and no trial the entire time. In an interview with Wattan TV, Jarrar noted the attacks of Israeli occupation minister of internal security and strategic affairs Gilad Erdan against the Palestinian prisoners. Erdan also directs the Israeli state’s global attacks on the BDS movement and Palestine solidarity campaigns internationally. “The situation of the women prisoners is not easy, especially after the Erdan decision to transfer them from the HaSharon prison to Damon prison as a punishment for them after a 63-day protest against the installation of surveillance cameras in the prison yard. This is part of an overall attack against the prisoners,” Jarrar said. Samidoun Palestinian Prisoner Solidarity Network salutes Khalida Jarrar and the Palestinian people upon her release. Her steadfastness, leadership and clarity of vision is an inspiration to people around the world struggling for freedom. As International Women’s Day approaches, we celebrate the liberation of Khalida Jarrar and pledge to intensify our efforts to free all of the Palestinian women and men jailed by the Israeli occupation. We congratulate Khalida Jarrar on her freedom and pledge to continue on her path of struggle until the freedom of every Palestinian political prisoner behind bars, and the freedom of Palestine. Palestinian officials on Wednesday announced that they will not accept the illegal confiscation of NIS 41,000,000 by Israeli officials. This money was taken out of the tax funds that Israel collects for the Palestinian Authority. It is supposed to be transferred directly to the Palestinian Authority, according to the Oslo Accords of 1994. 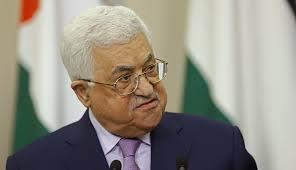 The PA has tried to avert that threat by channeling the payments through a separate body, the Palestine Liberation Organization. But the current standoff between Netanyahu and Abbas lays bare the duplicity of the situation for all to see. The PA leader may say the prisoners are the most cherished Palestinian constituency but he also describes his security services’ coordination with Israel as “sacred”. Although Israel categorizes Hamas as a terror organization, Netanyahu has been allowing extra funds into Gaza from Qatar to alleviate the enclave’s dire conditions. The party is Israel’s version of the Ku Klux Klan, disciples of the late rabbi Meir Kahane, whose virulently anti-Arab Kach party was outlawed 25 years ago as a terror organization. Israeli forces sealed off a road in southern Nablus City, in the northern occupied West Bank, on Wednesday. 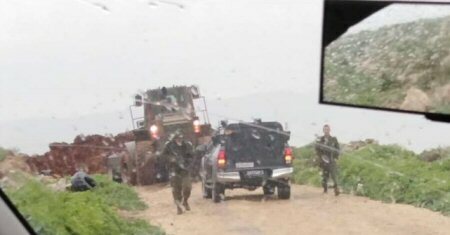 Activist Youssef Deiriyeh told Ma’an News Agency that Israeli forces completely sealed off the Wadi al-Radem road, with dirt mounds, for the fifth time in a row. Deiriyeh pointed out that the closure comes as a result to complaints of several Israeli settlers, living in the Yanoun area. The Wadi al-Radem road serves several Palestinian agricultural roads, and leads to wide spaces that would soon be used for solar panels and substitute energy. United Nations investigators said on Thursday Israeli security forces may have committed war crimes and crimes against humanity in killing 189 Palestinians and wounding more than 6,100 at weekly protests in Gaza last year, Reuters reported. “The Israeli security forces killed and maimed Palestinian demonstrators who did not pose an imminent threat of death or serious injury to others when they were shot, nor were they directly participating in hostilities,” it said in its report. According to Reuters, the panel, led by Argentine legal expert Santiago Canton, said individual members of the Israeli security forces killed and gravely injured civilians who were “neither directly participating in hostilities nor posing an imminent threat”. “Some of these violations may constitute war crimes or crimes against humanity and must be immediately investigated by Israel,” Canton said. In the ongoing border protests dubbed ‘The Great March of Return’, Gazans are calling for the right to return to lands from which their ancestors fled or were forced to flee. Israeli forces detained the Palestinian Governor of Jerusalem, Adnan Ghaith, this morning, after raiding his home in the Silwan neighbourhood, in occupied East Jerusalem. 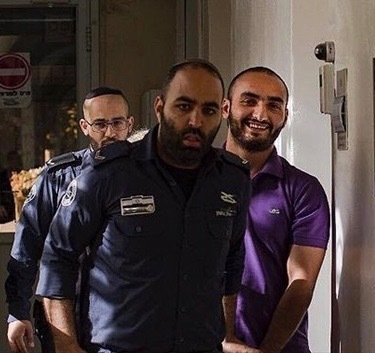 Lawyer Muhammad Mahmoud told Ma’an that Israeli intelligence and special forces raided Ghaith’s home and transferred him to the Russian compound police centre. Israeli forces had previously detained Ghaith several times, the last of which was last November. However, Israeli forces had also raided and searched Ghaith’s home in December. They later banned him from entering the West Bank for six months and from travelling outside Palestine. According to the report, “the drill was designed to examine the operational readiness of troops for various combat scenarios” inside the Gaza Strip, including “moving large numbers of troops to different regions, amassing forces in designated locations, live-fire exercises and aerial manoeuvres”.